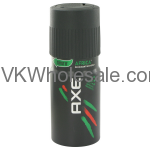 Minimum quantity for "Axe Deodorant Body Spray, Africa, 150 mL 6 PK" is 1. Minimum quantity for "Axe Deodorant Body Spray, Apollo, 150 ml 6 PK" is 1. Minimum quantity for "Axe Deodorant Body Spray, CLICK, 150 mL 6 PK" is 1. Minimum quantity for "Axe Deodorant Body Spray, Dark Temptation, 150 mL 6 PK" is 1. Minimum quantity for "Axe Deodorant Body Spray, Excite, 150 ml 6 PK" is 1. Minimum quantity for "Axe Deodorant Body Spray, MUSK, 150 mL 6 PK" is 1. Minimum quantity for "Axe Deodorant Body Spray, Phoenix, 150 mL 6 PK" is 1. Minimum quantity for "Axe Deodorant Body Spray, Sport Blast, 150 ml 6 PK" is 1. 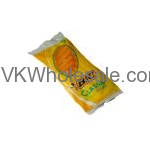 Minimum quantity for "BIC Classic Sensitive Shavers - 1pk, 5 Ct" is 12.